AFL attendances during 2018 Preliminary Final Weekend totalled 154,567 at the MCG and Optus Stadium. This figure was up 4.38% on the 2017 weekend at the MCG and Adelaide Oval. All up Finals crowds for the AFL now total 600,371 at an average of 75,046, up 32.3% on 2017. 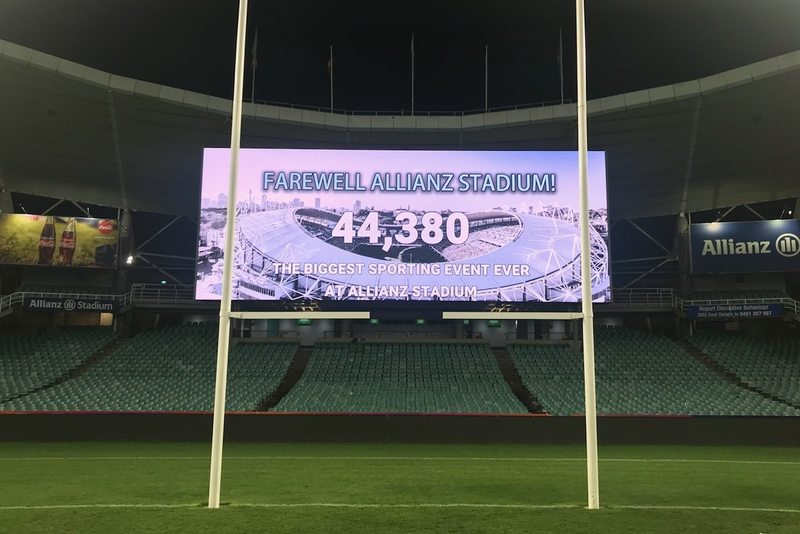 To be fair, much of the AFL Finals attendance uplift can be attributed to GWS not playing a home final at Spotless Stadium, and more MCG finals. The SANFL had its best Grand Final attendance since 1998 as 40,355 people turned up at Adelaide Oval. In the West, 25,064 attended the WAFL Grand Final at Optus Stadium. In Melbourne, the VFL was attended by 12,884 at Docklands. Over the Preliminary final weekend, the AFL was watched by 3.606 million viewers across the 7 network and Fox. This figure is down 4.43% on the 3.776 million who watched last years prelimns. Metro down 5.43%, Fox down 1.43%. NRL increases mostly attributable to a week 1 final at Suncorp and last nights massive crowd at Allianz Stadium. Over the 2018 Preliminary Finals weekend, the NRL was watched by 3.048 million viewers across the 9 network and Fox, this figure is down 8.19% on 2017, as lack of QLD/Reg teams strikes again. Metro down 0.27% (Bris -27%, Syd + 17%), Regionals down 24%, Fox down 1.21%. Over the 2018 Finals Series, the NRL has been watched by 10.133 million viewers, down 12.31% on the 2017 Series, with expected deficits in QLD and Regional areas. Syd +5.3%, Bris -22%, Metro -6.1%, Reg – 14.1%, FTA -9.2%, Fox +3.39%. Melbourne NRL figues have 1 gap I’m trying to plug from week 1 now, but at present it looks like those figures are down 9-10% over the series. Will update when i can. My thanks to the usual guys who report the ratings – @kevinperry and @DeciderTV, @MediaweekAUS, @MrTVAus, @mediaspyorg and @tvtonightau. Please note that all ratings used here are preliminary overnight numbers. Consoldated numbers are generally not available for another week or so. Please note that due to notices from Oztam, Footyindustry may not post data in a tabled format.